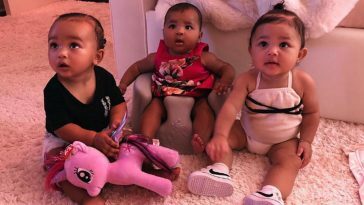 This weekend, the Kardashian sisters aired their 15th season premiere of their show Keeping Up with the Kardashians. Fans were anxiously waiting to tune in the view the drama between Kim and Kourtney–as rumors circled they got into an all-out brawl on the show. Clips from the episode showcased that Kim had exploded on Kourtney for not being accommodating to her schedule in terms of getting together for the family Christmas card. She ended up calling Kourtney the “least exciting to look at,” and brought the poor girl to tears. She then said that she’s acting like a lunatic for having feelings. During the episode, the sisters ended up going at it even more on Twitter, pretty much fighting back and forth on social media. Kourtney went at her sisters claiming at her priorities are to be a mother, not to work. 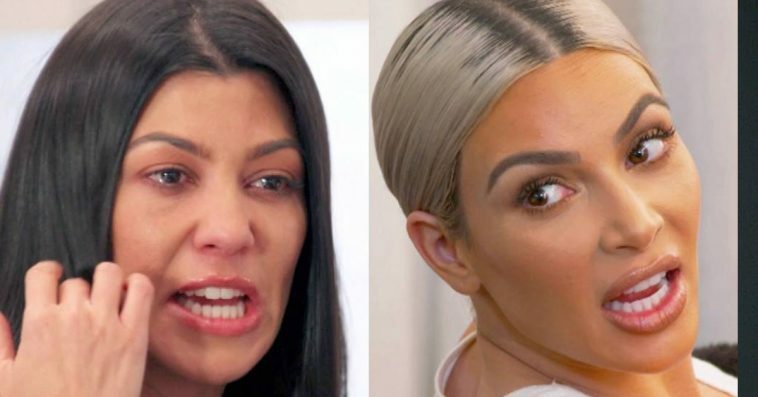 Kim clapped back saying that she, too, has three kids and her priority is to be a mother–claiming her photoshoot she was angry at Kourtney for missing was for and with their kids. 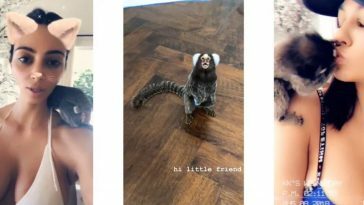 So, Kourtney clapped back, again. But, she claimed that she still loves her sisters and supports them–just doesn’t always agree with them. And, Kim made sure that everyone knew the sisters are “always good,” despite the drama. 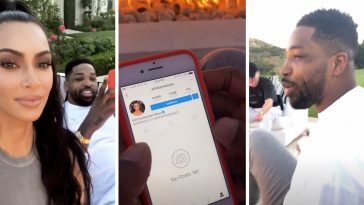 But, in all honesty, fans and followers were tired of seeing the same old, Kris Jenner-conspired garbage drama flooding their TV screens and social media timelines. Let’s face it–the girls are always trying to stir the pot to get ratings–and this time was no different. Fans were responding to the argument with giant yawns and petty remarks about how they’re just trying to grab some extra ratings–and we’re over it. It’s pretty annoying to see them faking it just to grab some extra likes, shares, and views. Yeah we know you fight just for the show to get some ratings. We know Kim. The Kourtney Kim and Khloé beef is verrrry clever. Ratings up and the group chat they got going is no doubt flaaaames with them planning what next to say on quote tweet ..
Aww. Sister fights broadcast to the public on Twitter. Y’all: I can’t believe Kim would say that to kourtney! ya we know sweetie. it’s just for the views and the money. nothin new. Everything the Kardashians do, in all honesty, is a marketing ploy. They have so many people working for them in terms of public relations and communications that they have every single move they make strategically planned from the beginning. Kris Jenner works extremely hard to make sure she makes that 10% on every beef, feud, and controversy honey. Don’t you dare forget it.